have been a bit frustrated on the kitchen front (number 2 on the list) by the lack of response from sparkys. However today we have made progress. I actually got a sparky out here and got a quote which was a bit higher than I had estimated BUT at this stage I just want it done so am going with that and he is hopeful that he can fit me in next week – hopefully on Monday. I also spoke to the guys who install ikea kitchens who told me he only needed about 2-3 business days notice to get a measure up done and then the same again (assuming ikea have what I need in stock) to arrange the install. SO the upshot of this that it is still POSSIBLE to get it done by Christmas! Also working on number 46 – the hollybanks treetop adventure. We have booked a return flight to launceston in February with a view to doing this. Just need to save up and book it. Ooops where did the time go? I am off to MMFAT tonight (Melbourne Medieval faire and Tourney). Owen is going to his Dad’s and then heading to Joey Scout camp on Saturday so we just have the two smaller boys. So what have I been doing for the past two weeks? 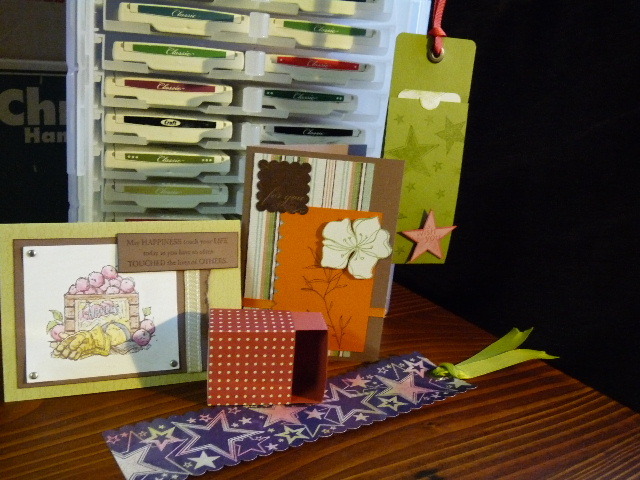 ummm the first one procrastinating (I know not like me) and the second week sewing! I’ve been very slack and of course I have a few things to do today (but actually not too much which is good). I know I have been very very bad on the photo front so thought I would insert some pictures and do you a real post next week. 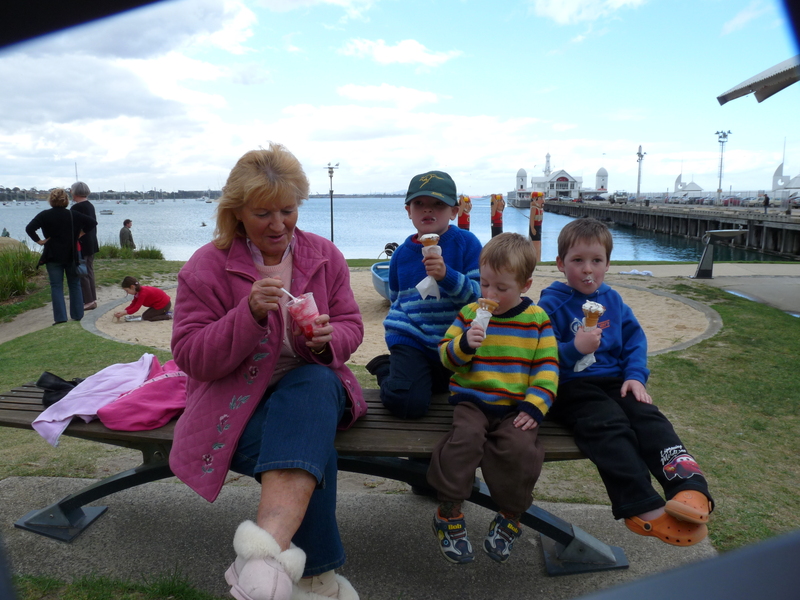 Denise and the kids in Geelong during the school holidays! ummm ok more later have to edit first as I’m having trouble flipping them up the right way and I don’t want you to have to turn sideways to see them. Best I get moving. I O U one real post with real photos next week! oh and one little extra bit….Corey started swim lessons by himself 4 weeks ago. the first three weeks he spent the whole lesson saying “I want my Mum” etc etc and not being at all co-operative. This monday he didn’t even want to get out of the CAR let alone into his swimmers. Oddly though he loves sitting on the step waiting for his lesson so I let him sit a little earlier so he had longer in the water before his lesson started….somehow that and moving the lesson to the shallow end so they could sit on the step rather than hold the bar did the trick…my little man swam and did EVERYTHING she asked him to with flying colours and without tantrums. He even did a star by himself which I had never managed to get him to do in mum’s and bubs – what a superstar!